Great News! 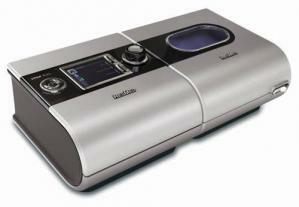 ResMed has released a new Bi-PAP model. Click the link below to view the new machine. The Enhanced Easy-Breathe motor significantly reduces radiated and conducted noise transferred through the mask to the patient, making it easier to integrate into the patient’s (and bed partner’s) lifestyle. Monitoring patient progress is convenient and easy with a range of data management options, including 30 sessions of detailed data, seven sessions of high resolution data, and 365 sessions of compliance and summary data. Compliance and summary data are easily transferred from the S9™ wireless module for daily remote monitoring and from the SD card on the VPAP Auto. S9 wireless capabilities allow you to view patient usage during the critical first weeks of therapy, ensuring that any compliance issues are detected and addressed early. Although default settings meet most patient needs, S9 VPAP devices offer advanced technologies with maximum clinical control to help you meet the unique needs of even your most difficult bilevel patients. The VPAP Auto’s VAuto mode combines with Easy-Breathe pressure delivery to synchronize with the patient’s normal respiration, making breathing feel more natural and comfortable. Additionally, the device features enhanced Vsync ™ technology, which compensates for leak to provide excellent patient–ventilator synchrony, as well as TiControl ™ (Ti Max/Min) to accommodate individual respiratory conditions.